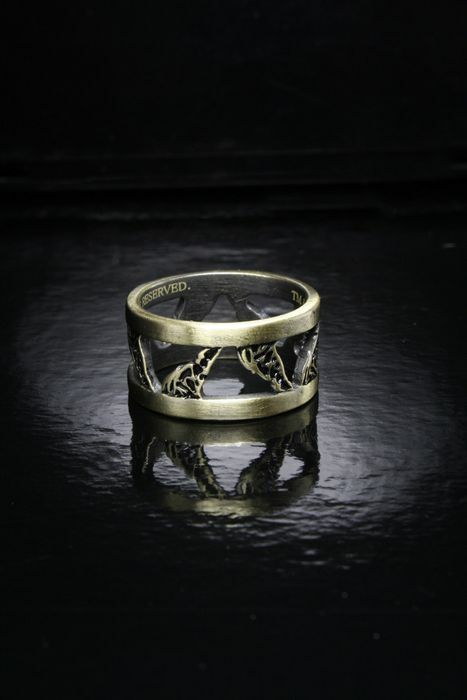 Show your support for Team Jacob with this new Breaking Dawn Part 2 ring! The 3/8″ band bears a repeating pattern of wolves in metal relief. Size 9 in antiqued brasstone. For more Twilight Jewelry, click here!